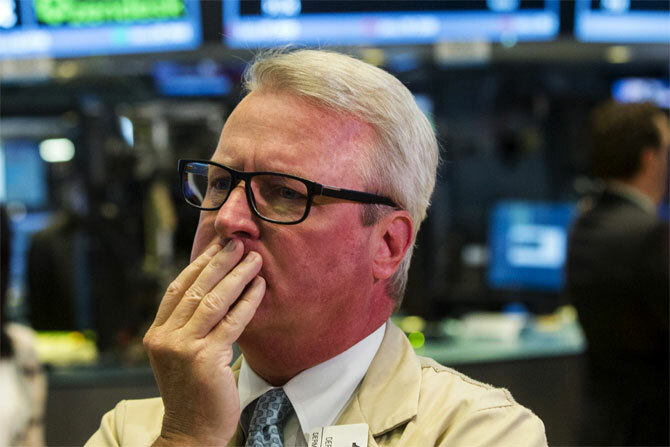 A technical glitch forced the New York Stock Exchange to suspend trading for more than three hours on Wednesday in the biggest outage to strike a US financial market in nearly two years, unnerving investors already rattled by the meltdown in Chinese stocks and the Greek debt crisis. The exchange, a unit of Intercontinental Exchange Inc , said the halt, which occurred shortly after 11:30 a.m. EDT (1530 GMT) and lasted until 3:10 p.m., was not the result of a cyberattack. Other exchanges were trading normally. "It's not a good day, and I don't feel good for our customers who are having to deal with the fallout," NYSE President Thomas Farley told CNBC during the halt. Traders awaited the reopening anxiously because much of the business on the NYSE happens when portfolio managers put in orders designed to occur at the exact market close to ensure end-of-day pricing. The NYSE accounts for more than 60 per cent of S&P 500 volume at the close of the market, according to Credit Suisse analyst Ana Avramovic. Most of this is at the "market-on-close," when those orders are processed for funds and institutions. "If you don't have all the orders on that marketplace on the close, the pricing on the close would be definitely not accurate," said Empire Executions Inc President Peter Costa, who trades on the NYSE floor. The US market was down more than 1 per cent on Wednesday, as investors continue to focus on turmoil in China and Greece. There are 11 US stock exchanges, and NYSE-listed stocks continued to trade on other venues, such as those run by Nasdaq OMX Group and BATS Global Markets. "This is one of the rare cases where the fragmented markets we live in actually serve a purpose," said Dave Nadig, director of exchange-traded funds at FactSet Research Systems. "If this happened at (the London Stock Exchange), you would just be sitting staring at a blank screen." The issues at NYSE came on the same day that computer problems led United Airlines to ground all its flights for about two hours and the home page of the Wall Street Journal's website temporarily went down. The US Department of Homeland Security said there were no signs that the problems at NYSE and United Airlines stemmed from "malicious activity." Nearly all US trading is done electronically, and the NYSE outage again raised questions about the technology at exchanges after major glitches in recent years. A technical problem at NYSE's Arca exchange in March caused some of the most popular exchange-traded funds to be temporarily unavailable for trading. And in August 2013, trading of all Nasdaq-listed stocks was frozen for three hours, leading US Securities and Exchange Commission Chair Mary Jo White to call for a meeting of Wall Street executives to insure "continuous and orderly" functioning of the markets. The SEC said on Wednesday that it was closely monitoring the situation at NYSE. The White House said President Barack Obama had been briefed on the matter. The New York Stock Exchange accounted for about 13.4 per cent of all equities volume last month and 12.5 per cent Tuesday according to BATS Global Markets data.